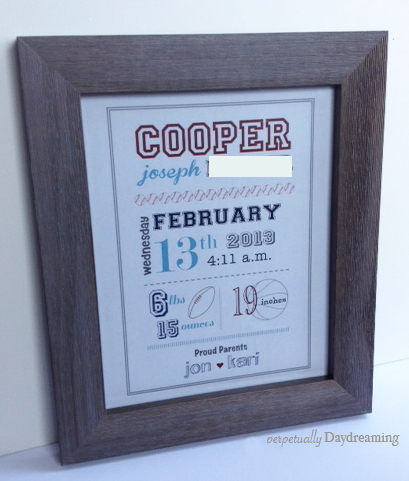 Adventures in life, home decor, crafting and party planning. A couple of months ago, our friends welcomed their first little bundle of baby cuteness into their lives. These are our friends whose wedding is where I met Michael, and they are our first friends to have a baby. I was so excited for them! 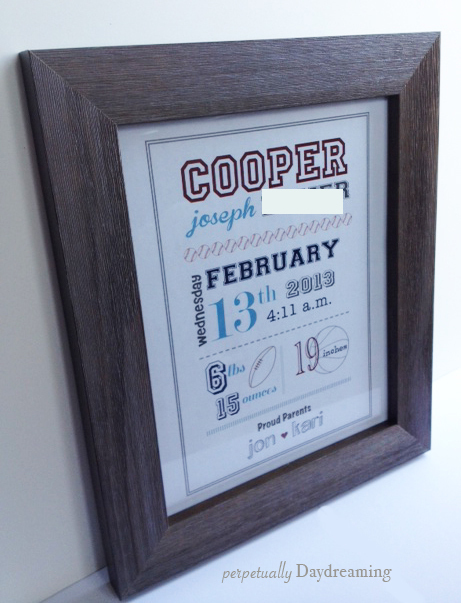 I got them some things off of their registry for their shower, but I wanted to have something special to give them when we finally got to meet the little guy. I love the birth subway art idea and I think it’s a good keepsake as well as great way to remember all the little details. So I decided to make one on my own. I knew they were decorating the nursery with sports stuff and their basic color scheme, so that was my starting off point. And here is the finished piece! I’ve blocked out their last name for privacy. 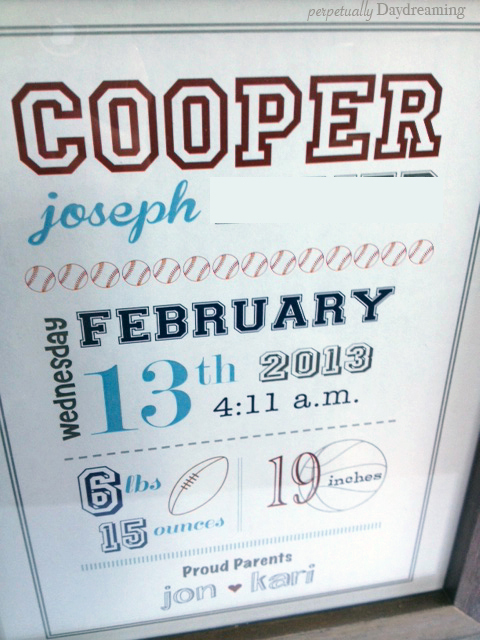 I had my friend text me all the info for a surprise, so she sent me the weight, length and time of Cooper’s birth. I found some cute fonts that had the baseball, football and basketballs as well as some varsity letter and kid-like fonts. I thought it turned out pretty well and I had fun making it. I hope they liked it too! This design along with some other baby subway art is now available in my Etsy shop. Click here to see the listing! An unexpected Izzy and mommy day. Even with goopy eyes and an ear infection she still is my sweet beauty. First Sunday with @mfortman40 in a long time. Izzy was super excited to visit her favorite pups and not too sure about the carousel.